We are all familiar with talented sports teams that underachieve because, despite the individual abilities of their players, they’ve been unable to “pull together” and coordinate their efforts effectively. Because teamwork requires cooperation, communication, and complex social interaction, we typically bring in outside coaches to create an environment that allows teamwork to develop, and we reserve our highest praise (and compensation) for those rare players who have the gift of making others better while being successful themselves (just ask Magic Johnson and Larry Bird). With that in mind, you may be surprised to learn that a couple of the world’s most accomplished team players can be found not on the playing field or in the arena, but under the sea, and that they are members of different species of fish. In recent research published in PLoS Biology1, scientists reported on a highly coordinated and communicative hunting partnership between the grouper and the giant moray eel, which they observed in the coral reefs of the Red Sea. Together, the two fish make an extremely complementary and formidable hunting team. Groupers, large predatory reef fish, are daytime hunters, while morays usually hunt at nght and rest in crevices during the day. 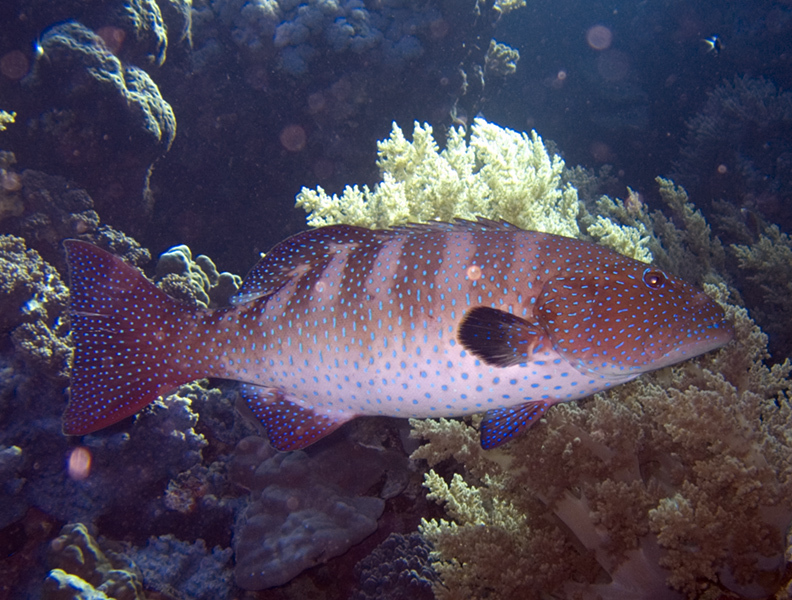 Groupers typically hunt in open water near reefs and have trouble catching fish that hide in the holes and crevices that they find in the coral. Moray eels, on the other hand, sneak around reef crevices and attempt corner prey in holes, but have trouble catching fish in open water. The researchers found that hungry groupers would actively seek out their moray eel fishing partners in their crevices and shake their heads rapidly right in the eels’ faces to let them know that it was time to go for a hunt. Here’s a video of a grouper letting an eel know that it is time to eat. The morays would then leave their hiding holes and swim off in search of food with the groupers. Here’s a video of the hunting twosome happily swimming off together for dinner. Moreover, the pair would cooperate as they hunted. In some cases, for instance, a grouper would remain directly above a crevice where prey was hiding, perform “headstands” and shake its head to guide the moray eel to the hidden prey’s location. This type of inter-species coordinated hunting with differentiated roles is extremely rare and had never been seen before in fish. If you think about it, this is pretty complex and advanced behavior, as the individuals must perform specific actions and play specific roles, knowing that their counterparts are doing the same. The groupers, with their intentional signaling to call their moray partners to the hunt and to direct them to prey, demonstrate particularly sophisticated, cognitively advanced behavior. So, forget about your local sports franchise; if you want to see some especially impressive teamwork, you should put on your wetsuit and let some reef fish show you how it’s done. 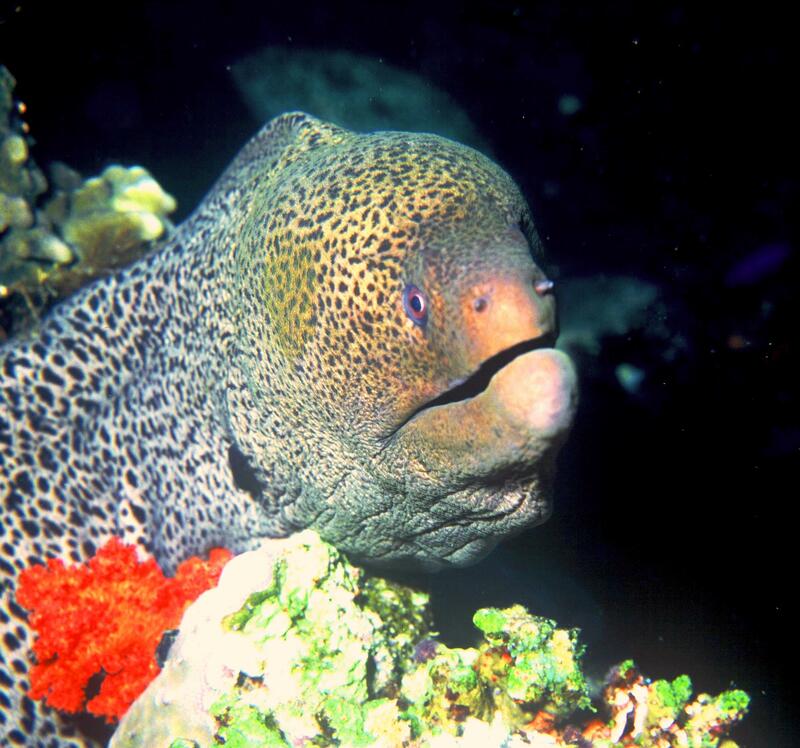 1Bshary R, Hohner A, Ait-el-Djoudi K, Fricke H. Interspecific Communicative and Coordinated Hunting between Groupers and Giant Moray Eels in the Red Sea. PLoS Biol 2006 4(12): e431. doi:10.1371/journal.pbio.0040431.